English singer/songwriter and Universal/Polydor recording artist Clare Maguire recently released the visually STUNNING video for new single, "The Last Dance" on YouTube. Like Maguire herself, the AlexandLiane-directed video is absolutely GORGEOUS. Maguire looks like a cross between Katy Perry and Sarah Brightman and sounds like a mix of Annie Lennox and Florence Welsh. Featuring powerhouse vocals from Maguire, one of my 'Ones To Watch in 2011" the song backs up my prediction and has me practically salivating over the upcoming release of her debut album, Light After Dark, due in the UK on February 28th. EPIC indeed. Can't wait! UK fans can pick up her new single, "The Last Dance" on February 20th, followed by the album Light After Dark on Feburary 28th. U.S. fans can download Maguire's Let's Begin EP (HERE) featuring the song "You're Electric" as well as two live performances and an iTunes interview. Also make sure you download "Ain't Nobody" on iTunes now (HERE) as well as the fabulous Breakage remix (HERE). No word yet on when Maguire's album will be released in the States but we can expect it sometime in 2011 once the album's been released and promoted in her native UK. As soon as I know, you will know! "South Central L.A. are streets of legend, immortalized in the poetry of a new generation. Mean streets where only the strong survive, where moving up means getting out. Born into these storied blocks was J Latif and his mother instilled in him three things a young man needed to rise above the sucking gravity of South Central: passion, tenacity and love. As a boy J Latif was special. He used music as an escape from the grim realities of the world outside his door. And these experiences are reflected in his lyrics and music. Inspiration, hope and the desire to create fun, up beat and heavy beats that will keep you up and dancing all night long." Wow. Check out his full bio HERE for more on his intriguing story. As a songwriter, J Latif is just starting out on what will hopefully be a long-lasting and fruitful endeavor. 2011 will see him working with some of the biggest names in the LA music scene including Ne-Yo, Compound Entertainment and Stacy Barthe (Black Eyed Peas, Katy Perry, Britney Spears). Joining forces with European songwriter/producer (and friend) Thomas Gallmeier (Glen Ballard, Cindy Gomez/Interscope) J Latif is hoping to push the boundaries of traditional R&B music by infusing DJ beats with pop music and R&B style. 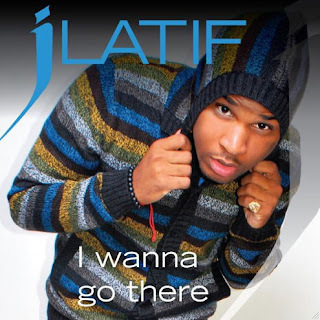 If "I Wanna Go There" is any indication, J Latif is on the right track. With additional support from Swedish DJ and producer StoneBridge, (who debuted his mix of "I Wanna Go There" to an excited LA club crowd) J Latif hopes to bring UK club goers onto the dancefloor with a massive remix package. U.S. fans can download his EP (HERE), the single (HERE) and the remix package (HERE) on iTunes. Also worth a look, this 'Behind The Scenes' footage of the video shoot for what appears to be J Latif's second single, "Keep Smiling." Thank you Sony for the high-res artwork! Series Six X-Factor runner up (and all around cutie) Olly Murs is abandoning the "upbeat ska-pop" sound of his previous two singles in favor of a straight up ballad. The track is a good showcase piece for Murs' vocal ability, which up until this point I hadn't really heard. While the album version of the James Morrison/John Shanks co-penned ballad is a bit too syrupy for my taste (think typical Westlife, Boyzone fare) forthcoming remixes from StoneBridge and JC should satisfy my Olly Murs dancefloor urges as Digital Dog and Cahill remixes did for his last two singles, "Please Don't Let Me Go" and "Thinking Of Me." The single is due for release on March 6th via Epic Records and features a new track written by Murs called "C'Mon C'Mon." UK fans can catch Olly Murs this Spring when he embarks on a sold out UK headlining tour starting in April. UK fans, act fast as one new date has been added at London's Hammersmith Apollo theater on May 26th (get tickets HERE). 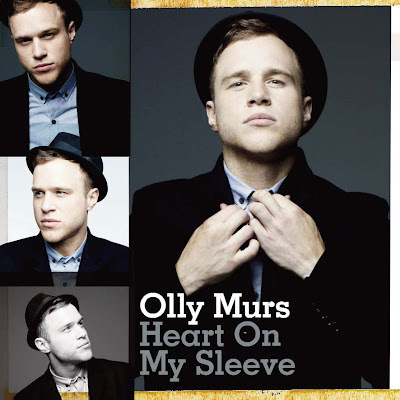 Congrats go out to Olly for his first BRIT Award nomination. Debut single "Please Don't Let Me Go" is up for Best British Single and faces tough competition from the likes of Alexandra Burke, Matt Cardle, Cheryl Cole, The Wanted, Tinie Tempah, Taio Cruz, Florence + The Machine and more. Chosen by the British public, voting closes 12 PM on February 11th followed by the results announcement at the BRIT's ceremony, to be held at London's O2 Arena on February 16th. Good luck to Olly! Vote for Olly HERE.